One of our delightful, sunny Norfolk days was very educational & entertaining. 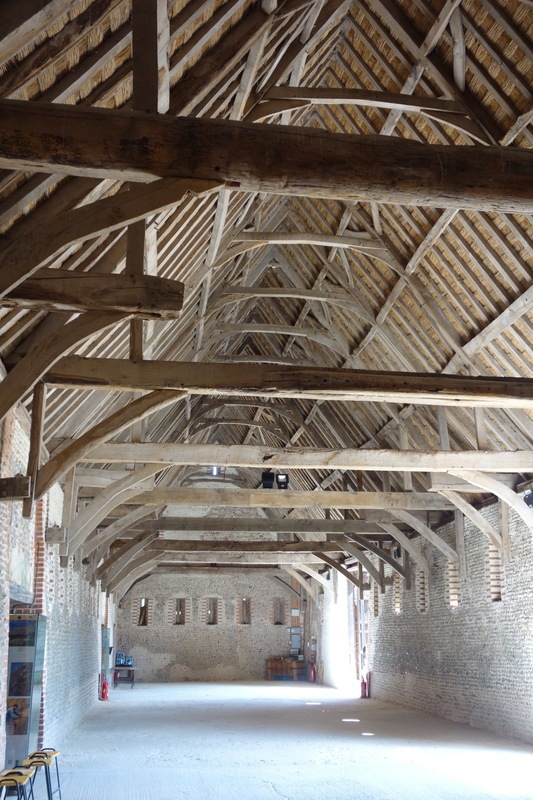 We discovered barns that were factories, broads that are waterways, mills that don’t grind grain, beached seals & heavenly cream scones! 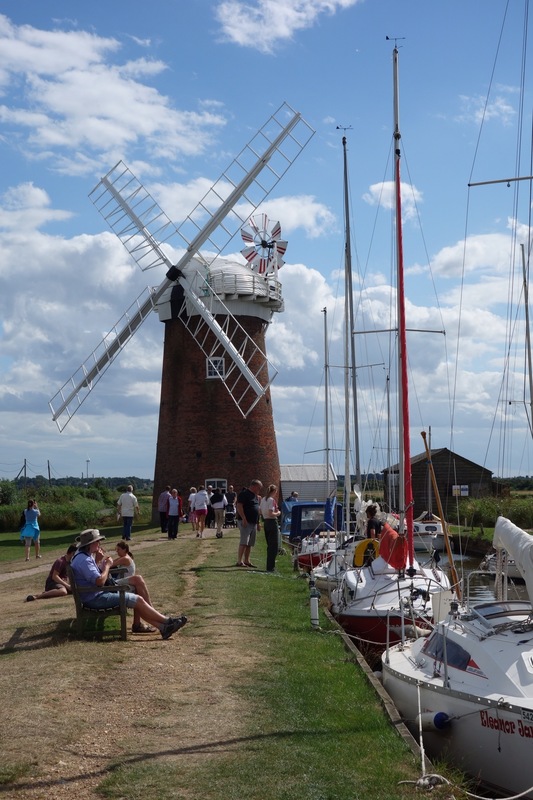 Next stop was one of the preserved windmills, a National Trust site that provided local information & a cafe. It was all a treat, the information staff advice & food, the windmill tour, the local sights & wildlife. Our education came from understanding more about the Norfolk Broads; the low-lying lands needing continual drainage of water (to avoid returning to marsh-lands?) that is channeled into local canals & broad waterways via pumps originally operated through windmills (& now automated). 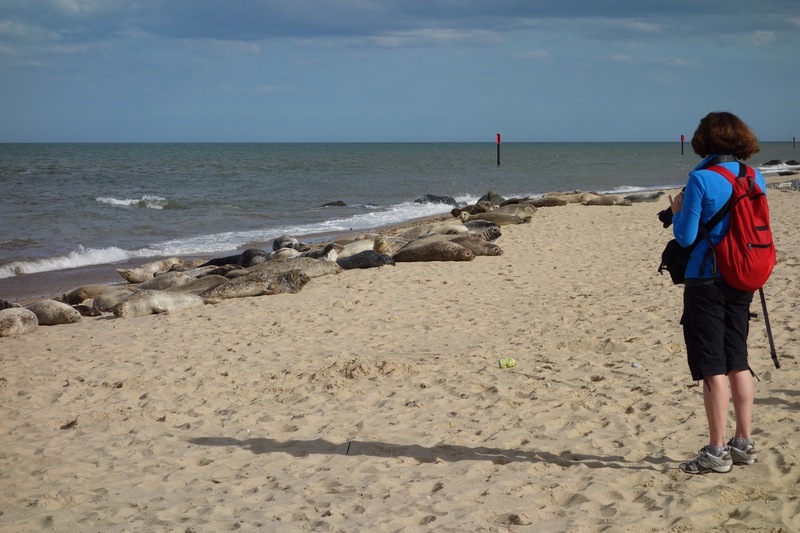 Next, acting on advice from the National Trust guides, we walked through to the coast, over the huge sand-dunes that form part of a coastal sea defence & along the sands to gaze upon dozens of lazing seals. 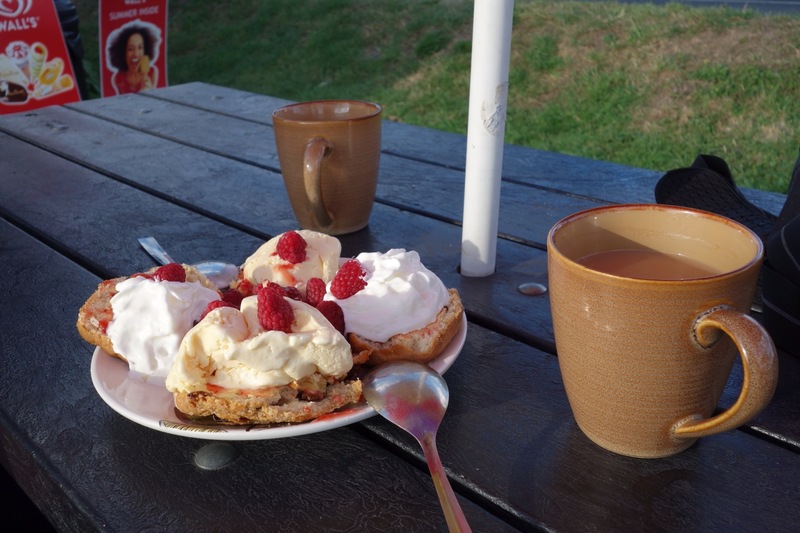 The final treat wasn’t the relief from finishing the long walk, nor from finding the NT cafe still open (both treats in themselves), it was the quality of the “cream scones”!